When you are getting a mortgage to purchase a home, there are certain deductions that the IRS allows that are well worth remembering come tax time in April. The following is a list of some of the tax deductions that many people forget about when buying a home. The above resource will give you an in-depth look at home buying tax deductions and an explanation of each. Below is also a quick summary of each deduction. Points on a home loan are tax deductible if they are used to bring down the mortgage interest rate. For those that don’t know a point is 1% of the loan amount. On a $300,000 mortgage, a point would equal $3000.00. You would only want to pay points on a loan if you knew you were going to be in the home for a while and the cost of such points would be less than taking a higher interest rate. In order to understand if paying points makes sense, you need to calculate the mortgage payment amount with and without points. By looking at the spread between those amounts you can determine how long you would need to be in the house before it would pay off for you. For a complete explanation see when to pay points on a mortgage. Points or origination fees paid when you purchase a home are generally tax deductible in full in the year that you pay them. It should be noted that origination charges from the lender that constitute a “service fee” are not tax deductible. Another alternative you could choose is to amortize the points over the term of your mortgage. This choice is usually made only when your itemized deductions are less than the standard deduction for the year you bought the home. As a side note when you refinance a mortgage the points must be deducted over the term of the loan. If you deduct points over the term of the loan and sell the home or refinance it again before the loan expires, you can deduct in the year of the sale or refinancing any points that you didn’t previously deduct. Keep in mind that you will be able to get the best mortgage interest rates when you have a great FICO Credit Score. When you are buying a home, depending on when in the month the home sale closes, the buyers pay either a small or large amount of pro-rated mortgage interest for the particular month they close. Whether the amount is large or small, a home buyer can write that amount off. The Final Closing/Settlement Statement will show just how much the buyer is due. Often times a seller will send the local tax collector’s office a check for Real Estate taxes prior to the closing. In many circumstances, however, the buyer will pay a pro-rated portion of the taxes for the year at closing. This tax deduction is one that is forgotten quite often. As long as the construction period doesn’t last more than two years before you make the new home your “principal residence,” you can write off the interest for that new construction loan. Although it is rare that a home loan today will have a pre-payment penalties on a few rare occasions you will still find one. If your mortgage does include a pre-payment penalty and you pay off the loan early, these penalties are tax deductible. If you got a mortgage in either 2007, 2008, 0r 2009 and got the loan through the Federal Housing Agency (FHA), Veterans Administration (VA) or the Rural Housing Agency (USDA loan) you may be able to deduct private mortgage insurance (as defined in section 2 of the Home Protection Act of 1998 as in effect Dec. 20, 2006). Prepaid mortgage insurance premiums usually must be deducted over the period to which they apply. One of the beauties of owning a home is the fact you can deduct the mortgage loan interest every year on your tax return. This is one of the best tax breaks afforded to homeowners. Mortgage interest is tax deductible on mortgages of up to 1 million dollars ($500,000 if married and you are filing separately) as long as you use the money to buy, build or improve on your property and the mortgage is secured by your home. In addition, the interest you pay on loans secured by your home and used for a purpose other than to buy, build or improve your home is tax deductible for loans up to $100,000 ($50,000 Married Filing Separately). In other words, if you used a home equity line of credit to purchase a car the interest on this 2nd mortgage would be tax deductible. About the author: The above Real Estate information on Tax deductions when buying a home was provided by Bill Gassett, a Nationally recognized leader in his field. Bill can be reached via email at billgassett@remaxexec.com or by phone at 508-435-5356. Bill has helped people move in and out of many Metrowest towns for the last 30+ Years. Thanks for this information Bill. I hope that some of my clients benefit from the work you have done. This is great information. Since I purchased a house in 2009 and do my own taxes, I will refer to you list. The tax deductions continue to be some of the best benefits of home-ownership, I am reminded every April…why I own a home. The equity I have in it, is accessible when I need it and will be my best bet to provide a profit when I’m ready to change where I live. Great Blog and you make some fine points…for home-ownership. Reminders are so welcome, and you’ve listed ones that can save us tax dollars. Seems I’m forgetting more and remembering less these days, so blog-reading is my best preventative — this is very informative, thank you! Thanks guys for all your comments on the tax deductions you need to remember when buying a home. Many of these are often forgotten! H Bill! Thank you for sharing such useful information. I have to say I love your new blog and format and will have to consider one soon–you did a fabulous job. Great reminders Bill. I would add that it’s a good idea to use a professional tax preparer the year you purchase a home and bring your settlement sheet. The tax laws are changing all the time and they are up to speed on them. The IRS website has the 5405 form for the buyer credit that is still in play until April. You can amend your 09 return if you buy now instead of waiting until next year to get that money. Bill, what a great list! I knew some of them but not others. We always send a copy of the HUD to both buyers and sellers each January. Let’s hope they have savvy accountants to pick up on all the tax deduction possibilities. What great info Bill. Love your new blog. Thanks for sharing this list. What a timely reminder. Excellent info, Bill. Thanks for being such a great resource for consumers! Bill as usual you have such great information for the consumers. I can see why they call you when they think real estate. This information is so valuable. Keep up the great job. Hey, I am now able to leave a comment. Great new website, Bill. It is clean, simple and easy to navigate and you will be providing your consumers with a great resource for their local real estate needs. A great list of deductibles for the borrowers as we all tend to forget what is deductible. Add to your list, PMI. This has been allowed for a few years now but it depends on the income level and loan amount. 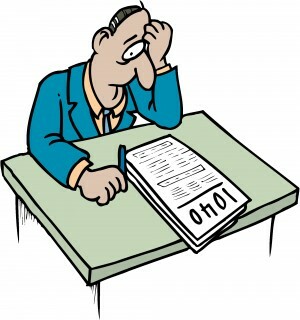 I would have your buyers check with their CPAs to be sure. Thanks guys for all your compliments on my Real Estate blog and the tax deductions people need to remember when purchasing a home! Bill – What a great list! This should be shared far and wide. I actually got hit with a huge pre-payment penalty on the first house I sold. Imagine my surprise years later when I found out this was a tax deduction. D’oh! 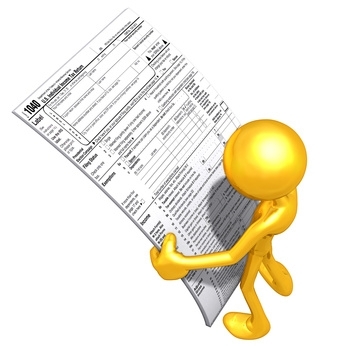 Bill – This is great list of tax deductions that everyone should know about. Very impressive article on tax deduction when buying a home Bill… Just caught my attention on your tweet… which I’m Re-Tweeting.